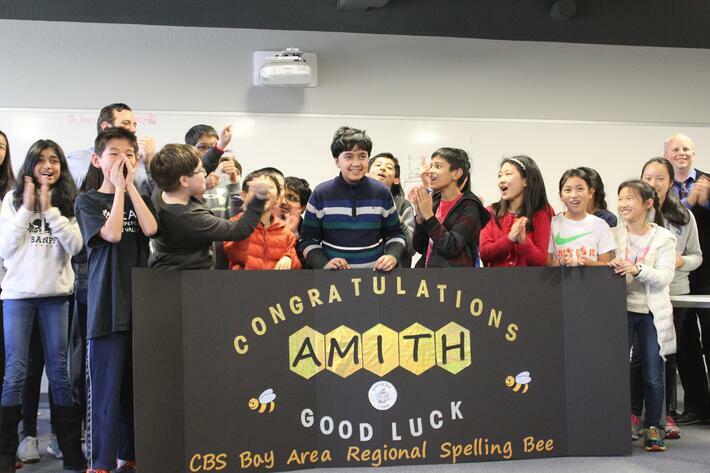 BASIS Independent Silicon Valley is thrilled to announce that one of our own, Amith V. will be participating in the CBS Bay Area Regional Spelling Bee this Saturday. Amith is no stranger to spelling competitions, and we know that he is going to do an amazing job! With the next stop being the SCRIPPS National Spelling Bee, the CBS Bay Area Regional Bee is definitely a high stakes event for these impressive spellers. Take a cue from his English classmates who filmed this inspiring cheer, and tune in this Saturday at 12:00 PST on KPIX CBS San Francisco (check your local listings for additional channel information) to root for Amith! Please see the KPIX site for streaming information.